Planet Ultra Dishwashing Liquid Free & Clear and independently certified by Scientific Certification Systems (SCS) to be 100% Biodegradable, Planet products are both safe for you and the environment. Our dishwashing liquid is gentle on your hands, yet is highly effective and cuts through grease to leave your dishes squeaky clean. Contains no fragrances, dyes, ammonia or other harsh ingredients. 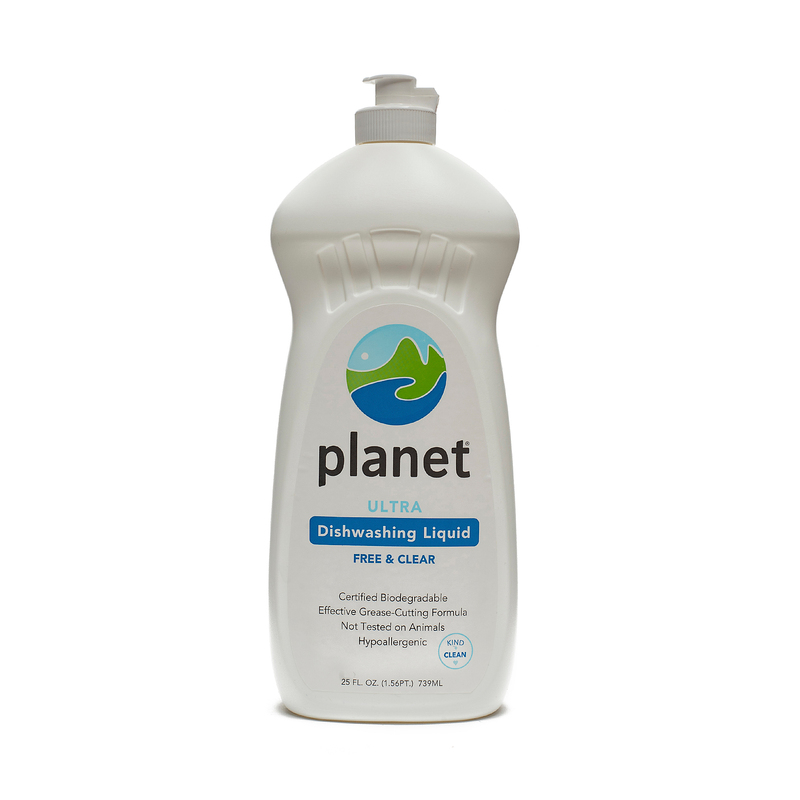 Planet Inc. - Ultra Dishwashing Liquid - 25 oz.